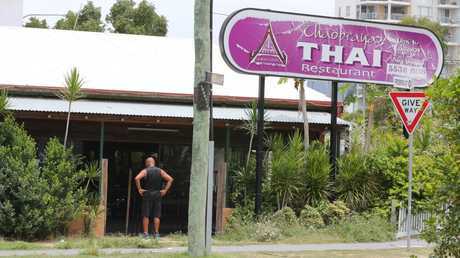 SQUATTERS have overrun an abandoned building that was used as a Thai restaurant on a block worth almost $3 million on one of the city's busiest roads. The site, which was once the Chaopraya Thai Restaurant at the corner of Frederick St and the Gold Coast Highway, is wide open for passers-by to walk right in. 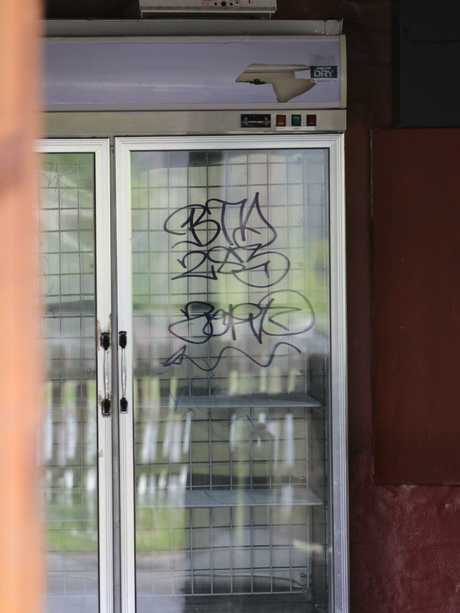 The Bulletin visited the site this week following reports from concerned residents who complained it was overrun by "street kids", who they accused of vandalising nearby businesses. The Queensland Police crime map shows 47 petty offences have been committed in that area in the past year. Two were trespassing and vagrancy offences, there were four offences each of unlawful entry, property damage and theft, and there were good order offences. Seven drug offences were also recorded in the area around the Frederick St-Gold Coast Highway intersection. Walls have been kicked in, graffiti has been sprayed over windows, rubbish is strewn throughout the yard and a sliding door is covered in police fingerprint dust. 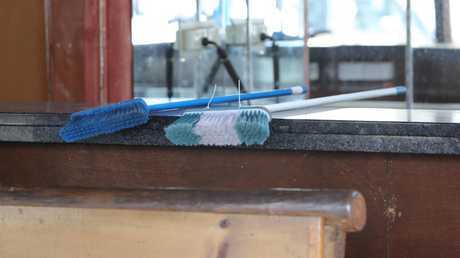 But strangely, chairs and tables in the dining area remain orderly, fridges intact and two brooms rest on the restaurant bar. "Watch out, the cops are coming," a teen shouted from the street as the Bulletin visited the building. 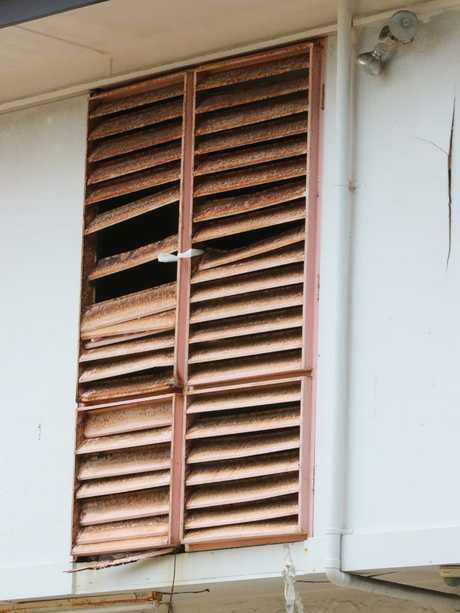 Occupants in the upstairs storey of the building were reluctant to show themselves, only peering from rooms as the Bulletin appeared to walk away. 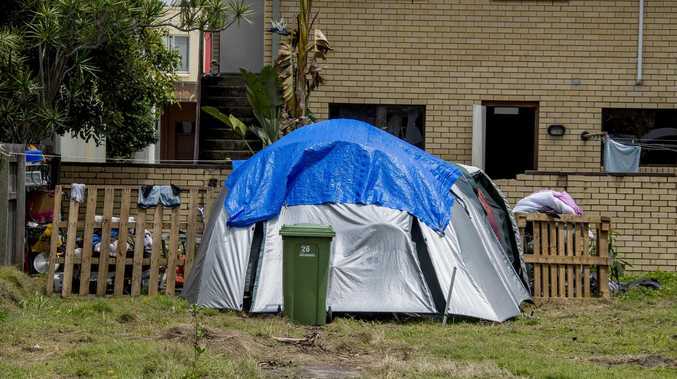 The abandoned house is the latest sign of the Gold Coast's homelessness problem hiding in plain sight. Support workers and police say they have noticed an increase in numbers of people sleeping rough, within metres of luxury accommodation across the city, in the past six months. Kathleen Vlasic, co-ordinator of homeless support organisation Rosies Gold Coast, was scathing in criticism of the State Government, which she said was not doing enough to help teenagers living on the streets. This was after the Bulletin revealed in July that teens were sleeping in the abandoned basement of a building damaged by fire. At the time, detective Inspector Marc Hogan said supporting at-risk children would reduce opportunistic crime. "There are a lot of children who need a little bit of help, to be given a safe environment …," Insp Hogan said. 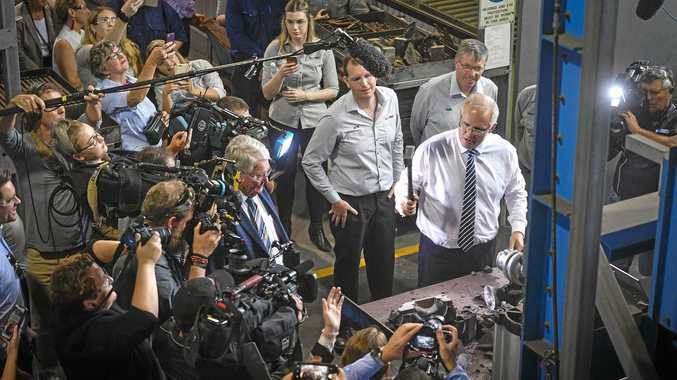 More recently, the homelessness crisis has been in the headlines after the body of a baby girl, who was allegedly murdered by her father, washed up on Surfers Paradise beach in November. And last week, a man was fined $652 for sleeping in a Gold Coast bus shelter. 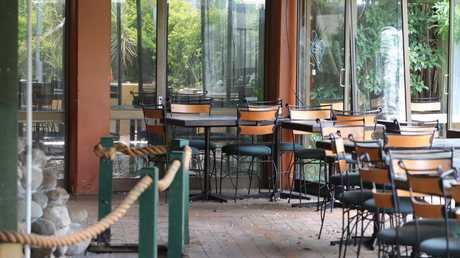 The Gold Coast City Council spokeswoman said the city had not received any complaints about homeless people in the former restaurant. 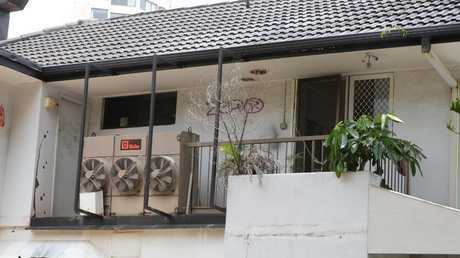 "The city has not received any complaints regarding squatters at the address. Trespassing is a matter for police," she said in a statement. "A complaint regarding unkempt and overgrown premises was made last year. A compliance notice was issued and complied with by the owner." The large 827sq m block is about 200m from the beach at Surfers Paradise. It is passed by thousands of motorists daily and is directly across the road from a popular watering hole, the D'Arcy Arms. The property was sold in 1996 for $1.3 million to Ying Yung Chen. The land was valued at $2.7 million last June.